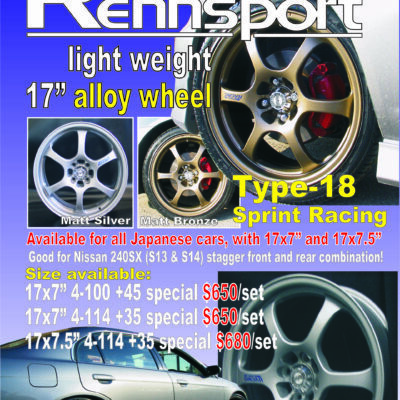 Rennsport Type-18 On clearance now in 17″. 4-100 and 4-114.3 bolt patterns. Perfect fitment for older Honda’s and Nissan’s. Email info@bcautodesign.com or call us (905)886-3900 for ordering.